Here to make your boating easier. The two links below are actively updated with new content on a regular basis.! Click on the links below to find out more, these links are not regularly updated but pricing information should be correct. We have decided to "Facebook" it up and have started a page for our Model Yacht Division, sounds grand but it's just a facebook page. Clicky the magic "F" to take a look. So the early May bank holiday weekend went well despite Saturday not looking too good. Sunday and Monday were classic Abersoch boating days as you can see from the pictures above. Lots of happy customers, lots of tractoring up and down the beach and lots of fun had by all. We now start to look forward to the late May bank holiday and half term week, hopefully we'll have some more great weather. If we can help with any of your servicing requirements then please get in touch. Emily is a picture of health currently and she continues to make great progress and return to normailty which she is enjoying immensely. Huge thanks once again to all of you who ask after our little family now and again, it means a lot to know that you have thought of usover the last few years. I think that the time has come to move on from Emily's illness now and this will probably be the last time that I post about her health, for us, no news is good news! 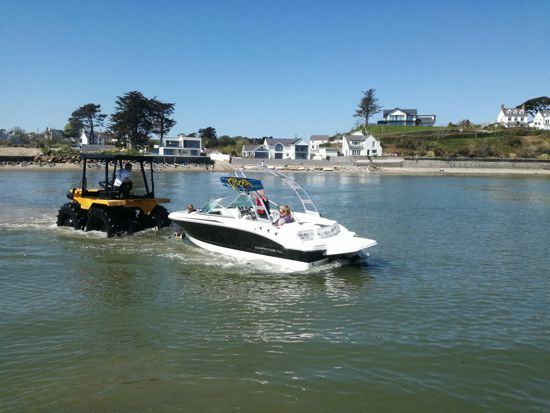 We can offer great deals on new and used Yamaha Outboard Motors here at our base in Abersoch on the Lleyn Peninsula. 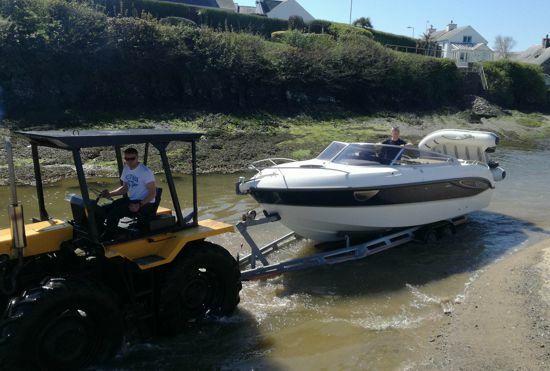 We also have full workshop facilities to service and maintain your outboard engine, whatever the make or model, from a 2.5hp right through to 300hp. Well that was a blast! Banky was a great success, Saturday never really came good but Sunday and Monday were classic Abersoch boating days. Weather is back to normal now with some showers and general greyness the order of the day. Bank Holiday weekend incoming and it looks like there might be some great prospects for boating over the three day weekend. If you have asked for your boat to be ready, then it is ready to go when you're ready. See you at the weekend! Heatwave!....nope, not here. Apparently it will get better as the day goes on but currently it is still windy, grey and a little bit showery. As for the heat....well I'm not sure we'll see that at all, we might get to the high teens but I'd be surprised if we hit the 20's. Still, it looks like Friday and Saturday could be boating days, so get down here and get on with it! Great day yesterday, some people even went boating, they came back smiling. You could do the same again today, it's lovely now the sun has come out. No boating today, it is a little bit damp, however tomorrow, Sunday, looks like an altogether better day. Boating? well you could if you were here! Suns out, water is flat enough, time to go boating if you are here but get down early as the weather looks like it might go off this afternoon. So we are back in the world of websites once more and will hopefully be able to keep you all a little more up to date with what we are getting up to here at the yard. Nothing groundbreaking for 2018, the yard is still the same, the staff are still the same, it's another fun year at the yard....now if only the weather would play ball and it would stop raining.